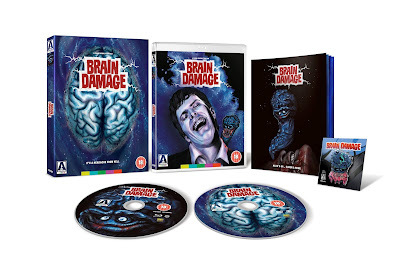 BRAIN DAMAGE is one of Frank Henenlotter’s zaniest, most bad taste films - and that’s saying something! Sitting between BASKET CASE and FRANKENHOOKER in Henenlotter’s ouvre, BRAIN DAMAGE really is the ultimate head trip, with talking, brain-hungry parasites, mind-bending special effects and more bad taste gags than you can shake a stick at. Now Arrow Video will release it on Limited Edition Blu-ray/DVD Dual Format in the U.K. on 8th May 2017 (U.S.A. and Canada 9th May 2017) so you can finally see it in its gory glory. Digital transfer from original film elements. 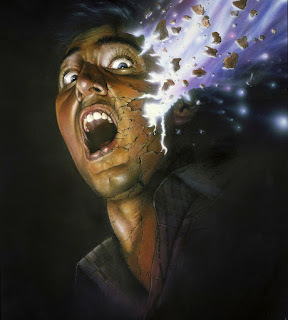 Brand new audio commentary by writer-director Frank Henenlotter. Q&A with Henenlotter recorded at the 2016 Offscreen Film Festival. Limited edition O-card with exclusive artwork. Collector’s Booklet with new writing on the film.